I would like a chance to win this album. 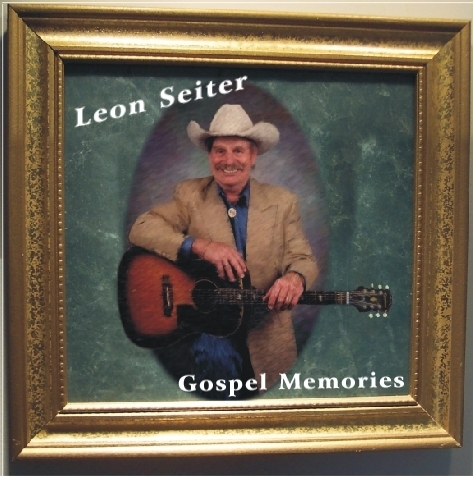 I'm so glad to see a great country singer like Leon Seiter doing a wonderful gospel CD. Leon is a member of America's Old Time Country Music Hall of Fame and his jacket and hat hang in the museum acknowledging his many contributions to the musical genre. Leon has such a smooth country voice, this particular CD might be his best work yet. His "Peace In The Valley" is especially nice with a soft mandolin and harmonica in the backing making it very nice to listen to. That old-time style that really sets his music off from the run of the mill stuff we hear these days. He had some good help backing, and they all sound just fine. Lynn Truman on Dobro; David Conley Jr. on banjo; Eldon Whitford on mandolin; Rodney Colmus on steel; Mark Cooper on keyboards; Pam Bowman on hammer dulcimer; Jeff Gardner on guitar, bass and harmonica, drums and vocals. They all did a great job, and though this sounds like it could be a bluegrass band, it isn't. It's that great old time country sound that was even played by Bill Monroe before Flatt and Scruggs. That wonderful old-time gospel sound that was so predominant back in the early 20's. This is a remarkable sound, and a lot of young people are seeking and finding it these days. We have several string bands in our area now, some of them even playing Stella and Harmony guitars trying to recapture that incredible old-time acoustic sound, and they are doing it. So does Leon Seiter. He's on the festival a MoValley this year, so be sure and catch his show, and be real sure you pick up this new CD by him. You can listen to this one over and over and be completely satisfied that the good Lord was looking over Leon's shoulder when he cut it. Great work Leon. 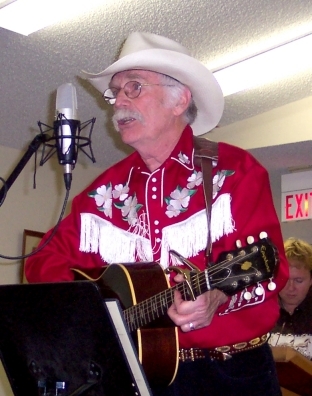 The voice of traditional acoustic music in America!